Phytoremediation » 86 Plants to Clean Your Indoor Air? This is the story that will not die (read ScienceDaily story below). The only things that will likely die are these supposedly "indoor plants" that will supposedly make the air in your home squeaky clean. If you get lucky you will likely be told to make sure your plant pot has a drain hole and be sure you stick your finger into the soil before you water. That advice is the beginning of the end of most houseplants in the care of most who are not dedicated green-thumbed houseplant freaks. You will find lots of photos and advice about growing and maintaining plants using sub-irrigation methods on this blog. Sub-irrigation works and is used by most professional and experienced interior plant maintainers. It is also likely that the plant you buy was grown in a greenhouse using sub-irrigation. Sub-irrigation is far superior to traditional drench and drain that I call “poke, pour and pray”. You can easily prove all this to yourself. It is not rocket science. Do plants growing indoors maintained by any method really clean indoor air? Who knows? Personally, I am skeptical but am a firm believer that HEALTHY plants in your environment will improve your well being in many ways, none of them measurable. Phytoremediation potential was assessed by exposing the plants to gaseous formaldehyde in airtight chambers constructed of inert materials and measuring the rate of removal. Osmunda japonica (Japanese royal fern), Selaginella tamariscina (Spikemoss), Davallia mariesii (Hare's-foot fern), Polypodium formosanum, Psidium guajava (Guava), Lavandula (Sweet Lavender), Pteris dispar, Pteris multifida (Spider fern), and Pelargonium (Geranium) were the most effective species tested. 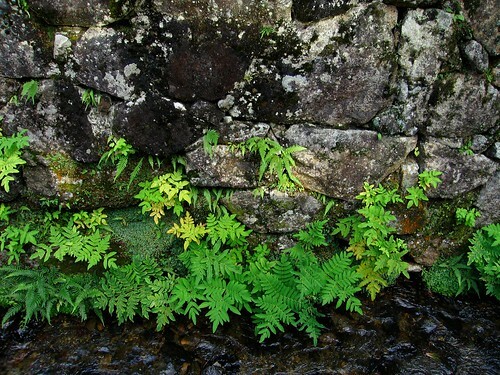 Ferns had the highest formaldehyde removal efficiency of the five classes of plants tested, with Osmunda japonica determined to be most effective of all 86 species, coming in at 50 times more effective than the least (D. deremensis) efficient species. ScienceDaily (June 24, 2011) — Formaldehyde is a major contaminant of indoor air, originating from particle board, carpet, window coverings, paper products, tobacco smoke, and other sources. Indoor volatile organic compounds (VOCs) such as formaldehyde can contribute to allergies, asthma, headaches, and a condition known as ''sick building syndrome." The concern is widespread; a 2002 report from the World Health Organization estimated that undesirable indoor volatiles represent a serious health problem that is responsible for more than 1.6 million deaths per year and 2.7% of the global burden of disease. Will a new instrument that measures indoor air pollutants help to convert a popular field of junk science into real science? Junk science says that all indoor plants clean the air, including those managing to survive in top-watered clay pots. A logical mind would know that this could not be true. Unfortunately, legions of garden writers with shallow science education have helped to spread this propaganda. The widespread urban myth that all houseplants have air-cleaning power started back in the 1980’s when retired NASA scientist Dr. Bill Wolverton partnered with an interior plantscaping industry marketing campaign called “Plants for Clean Air”. The most important fact always omitted by the media is that Wolverton based his conclusions on the use of sub-irrigated soil media or clay pebble hydroculture. He clearly states this in his 1997 book How to Grow Fresh Air: 50 House Plants that Purify Your Home or Office. Antonio Torres lays down a flat of small pots filled with soil while working on a potting plant at Delray Plants in Venus on Tuesday. Delray Plants, which sells wholesale to retail outlets like Kroger, Wal-Mart and Home Depot, makes up a large part of Highlands County's ornamental plant industry. Will someone please explain to me what is "green" about this photo from the article linked below? If the indoor plant industry really wants to be green, they should provide consumers with information that will keep their so-called green plants alive. Instead of dumb drain hole, finger poking nonsense they should provide consumers with information about the benefits of modern sub-irrigated planter systems (SIPs). Green should be to make "houseplants" more user friendly, long lived and sustainable. Now that's a green word! Instead of sustainable, this industry wants to market its products as a consumable health aid. They simply don't get the present day meaning of green. Read this comment by Clem Cirelli, a well-respected professional interior plantscaper. SEBRING - Be nice to that yellow, underwatered ivy. It's improving your air quality. And it might even make you happier. Can Common Plants Eliminate Indoor Air Pollutants? Even if published by the American Society for Horticultural Science (ASHS) I have trouble with these studies that purport to prove that top-watered plants in clay pots really do clean toxins from indoor air. I know how to grow plants in a glass jar, but I don't live in one. I am able to test and prove many things about growing plants inside buildings but this is not one of them. You're on your own. Is it junk science or real science? The study concluded that simply introducing common ornamental plants into indoor spaces has the potential to significantly improve the quality of indoor air. In addition to the obvious health benefits for consumers, the increased use of indoor plants in both ‘‘green’’ and traditional buildings could have a tremendous positive impact on the ornamental plant industry by increasing customer demand and sales. It isn't going to work very well with Ivy (Hedera) but it could with Pothos (Scindapsus). The design needs work but worthwhile pursuing in my opinion. It's a lot better use of creative design time than most of the "green gadgets" I see from the design/lifestyle blogs. Most of them have no relevancy to plant science and the realities of maintaining plants inside buildings. Elements of Nature is an air purification system designed to work with an indoor plant (ivy). It`s mesh surface allows ivy to grow over itself naturally make every product unique for its user. It is a customizable system that can provide for the needs of specific users. Elements of Nature combines the power of nature with manmade technologies to achieve the best results possible. it is a functional solution that is also environmentally aware. Its water based filtering mechanism avoids use of disposable metal and carbon based filters. Elements of nature is a better way to clean your air. There are better ways to sell indoor plants other then making claims that can be construed as medical advice. In my view it is irresponsible marketing based largely on junk science. Read this post from the EPA and you can make up your own mind. This low maintenance, exotic-looking succulent thrives in home environments. In fact, it’s one of the recommended plants to filter out indoor toxins, especially formaldehyde-based pollutants found in carpeting, furniture, cleaners and foam insulation. Sansevieria cylindrical (also called “Spear Sansevieria”) is an easy-to-grow ornamental plant that only requires watering once or twice a month. Each round, smooth, grayish-green leaf is 1.5” thick with dark green stripes and a pointed terminal end. The stiff leaves grow upright in a fan-shaped pattern and reach 2-5’ in height. Allow to dry out between waterings. Full or partial sun, grows to 2-3' in container, minimum temperature indoors 40°, blooms in summer. There is no bigger booster of indoor plants and urban greenscaping. I’ve devoted half my life to promoting this field in one way or another. What really disturbs me however is the distortion of fact that is used by many to promote the use of common, ordinary houseplants in drain hole pots. Have you ever read this EPA document on the subject of Indoor Air Pollution? Note that the document is co-sponsored by The American Lung Association (ALA), The Environmental Protection Agency (EPA), The Consumer Product Safety Commission (CPSC), and The American Medical Association (AMA). You probably haven't read it simply because neither the mainstream media, the USDA Cooperative Extension Program nor the blogosphere ever references it. I see either an article or blog post almost every day about the "ten plants to clean (or purify) the air in your home" or some such statement. In many cases, it is presented as medical advice. The people who write this stuff are essentially clueless about their free "medical advice" that is in reality a potentially harmful misstatement of fact. Some might even call it medical malpractice. This is what the EPA and co-sponsors have to say about indoor houseplants. Update: December 17, 2009 - The ANDREA is temporarily out of stock and two negative reviews were deleted. That's probably fair because the reviews were not based on actual user experience. I didn't know however that Amazon would edit and remove comments/reviews. Interesting! There is a new plant related appliance available from Amazon.com. The ANDREA plant based air filter joins aeroponic gardens AeroGarden and Prepara, sub-irrigated planter EarthBox and composter NatureMill. When the ANDREA design, then known as the Bel-Air was first blogged back in 2007, I viewed it as yet another “green gadget” that would never come to market. How wrong I was. Notice the similarities to retired NASA scientist Bill Wolverton’s patented EcoPlanter marketed in Japan only. A company named Phytofilter Technologies in upstate New York now has the marketing rights in the U.S. but I doubt we will see it on Amazon any time soon. But who knows, I was wrong about the ANDREA. The French made ANDREA could make it in the U.S. market but I have significant doubts. The European consumer market is far more accepting of plant technology than the market here in the U.S. Historically our embedded clay pot, drain hole culture has fiercely resisted modernity. This video helps to clear up the misunderstanding created by the widespread publication of the Kamal Meattle TED conference presentation. This plant room is part of an air cleaning system in the Paharpur Business Center (PBC) in Delhi, India. Along with the plant room, the system includes an air washer and duct filtration. As you can see the plants are not scattered throughout the building as one might incorrectly assume from the slide presentation. They are not employee personal plants. Grouping a large quantity of plants (over 1,200 in this case) in one location creates the ability to remove a significant amount of volatile organic compounds (VOCs) from the indoor air. A living plant wall is another way of doing this. Canada has been a leader in this technology.